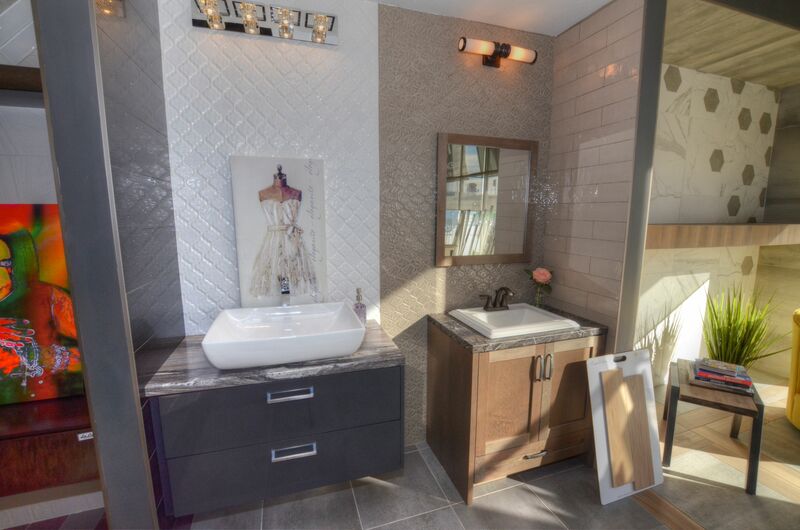 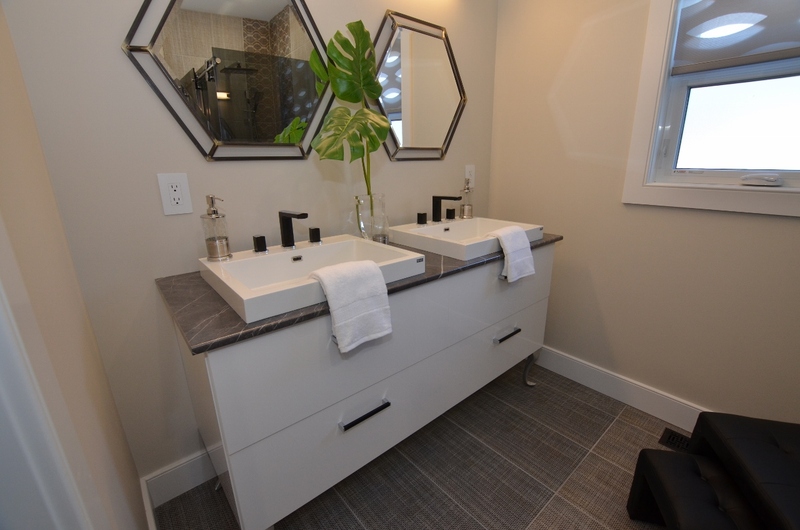 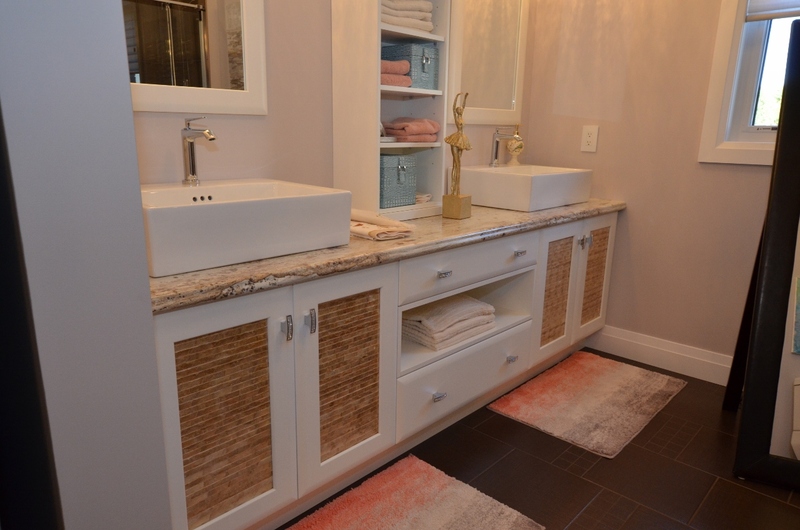 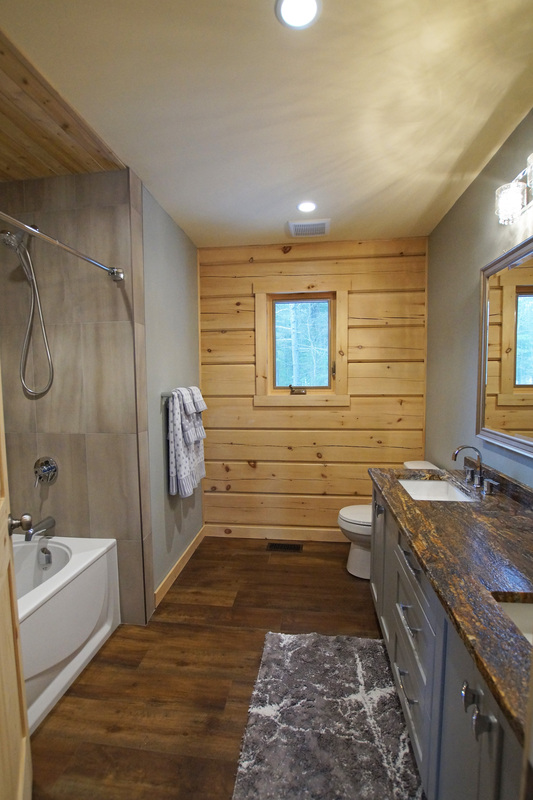 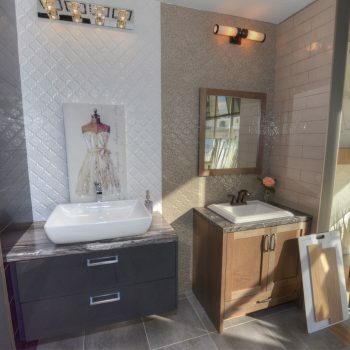 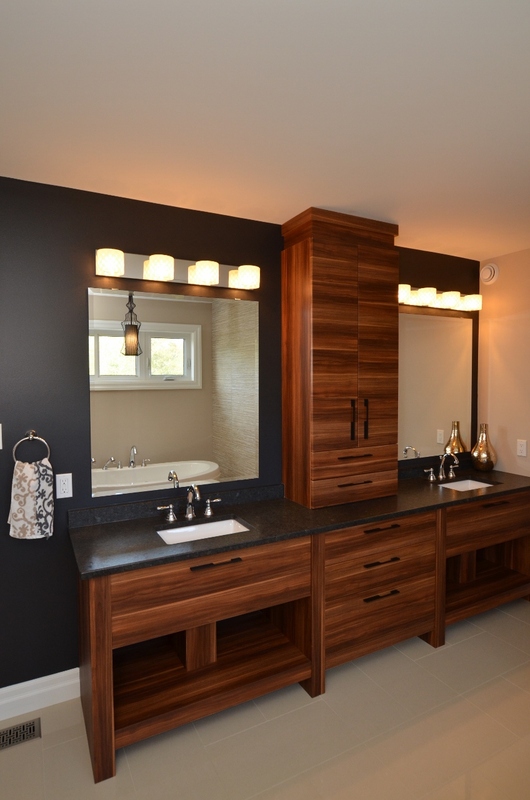 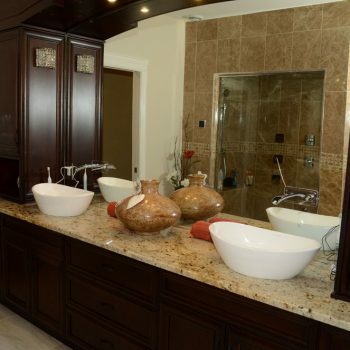 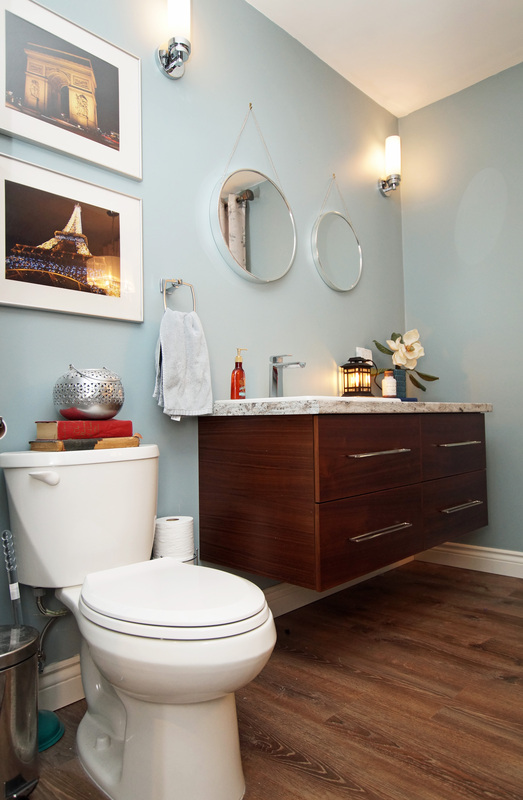 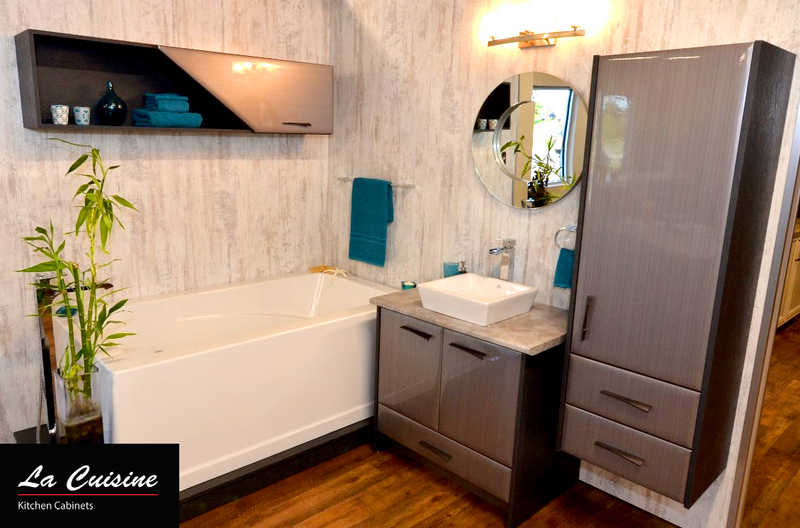 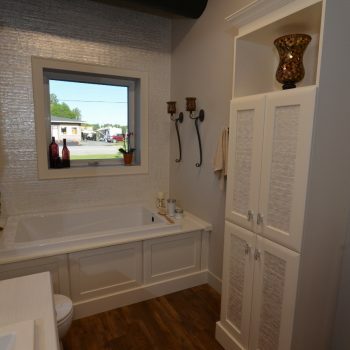 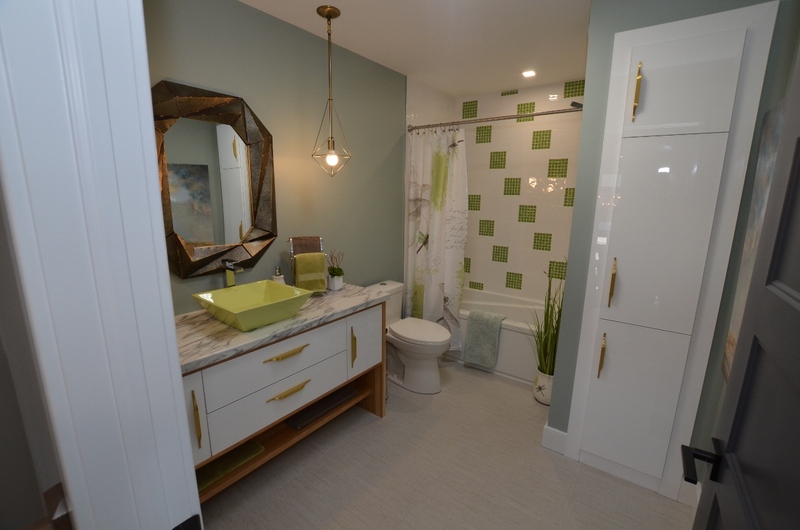 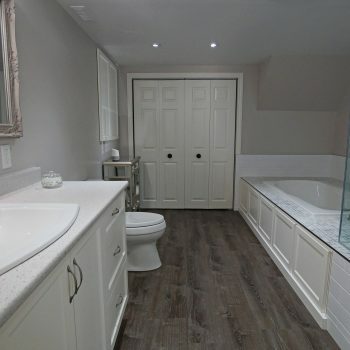 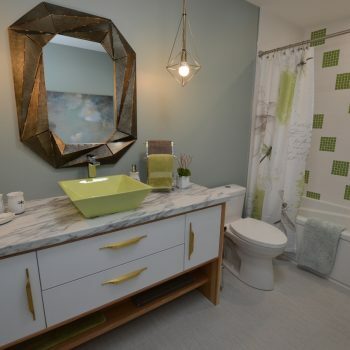 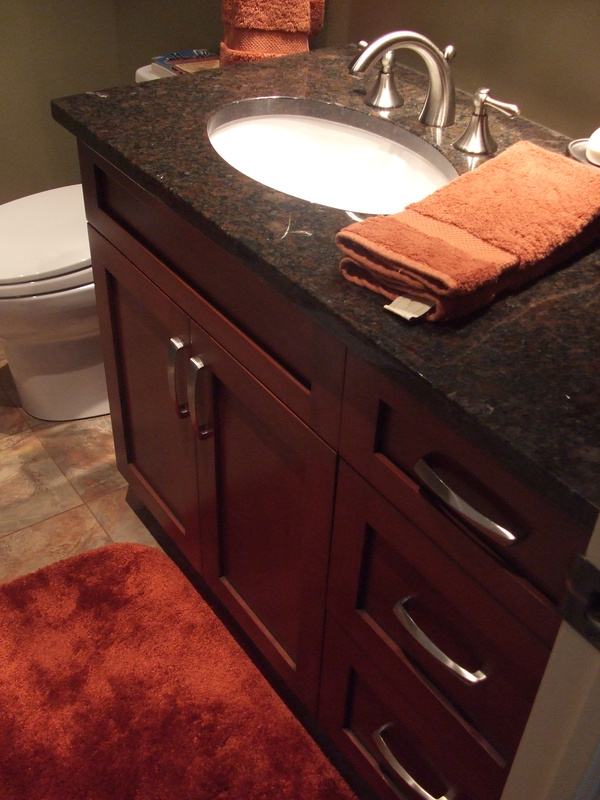 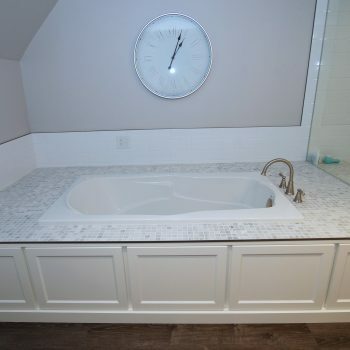 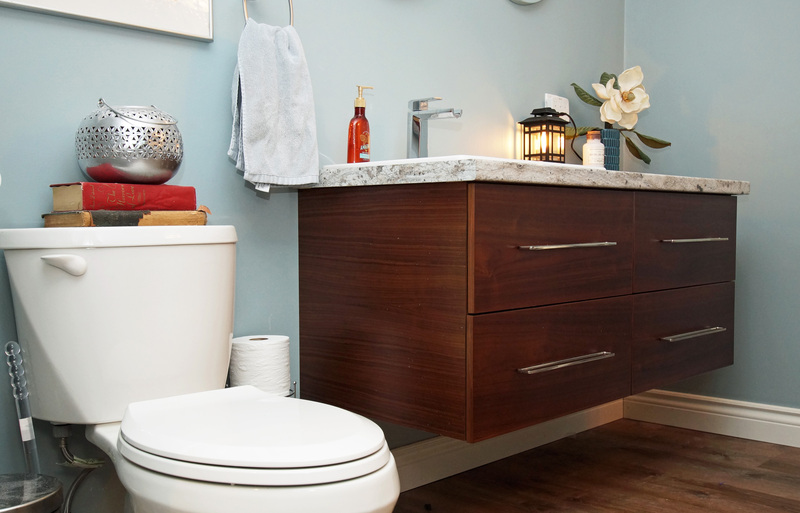 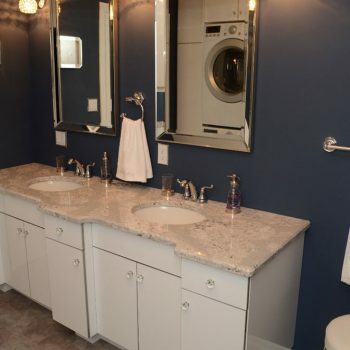 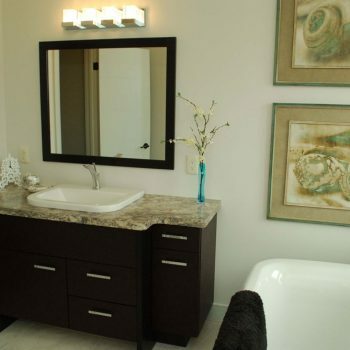 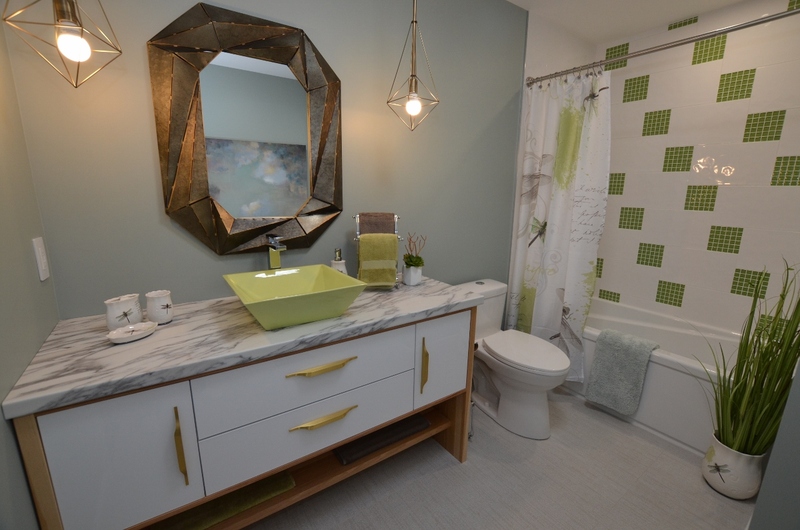 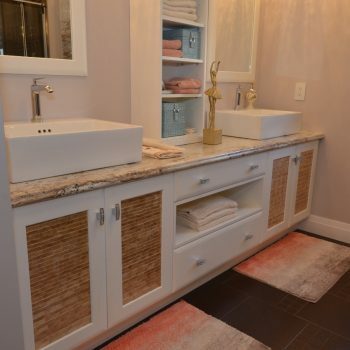 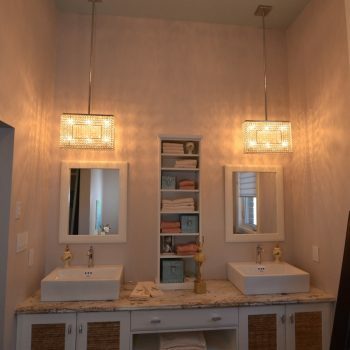 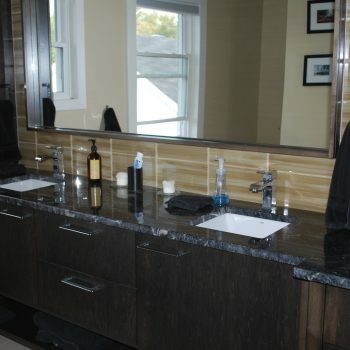 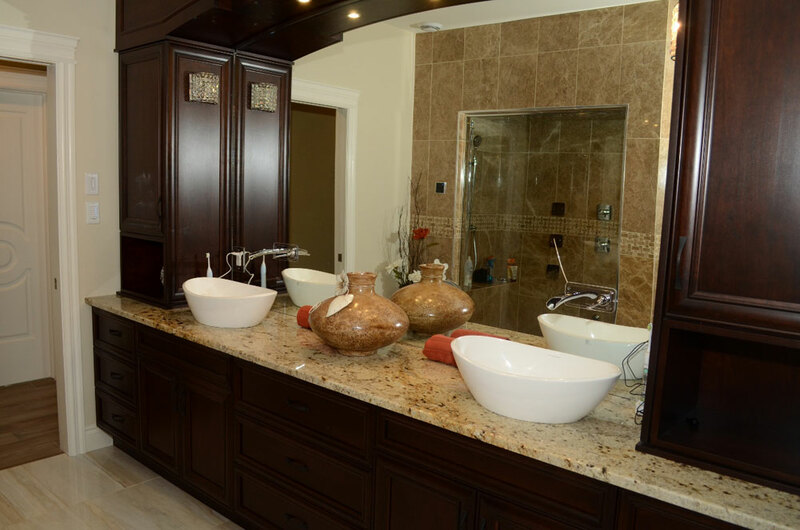 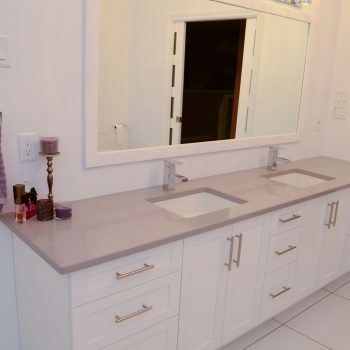 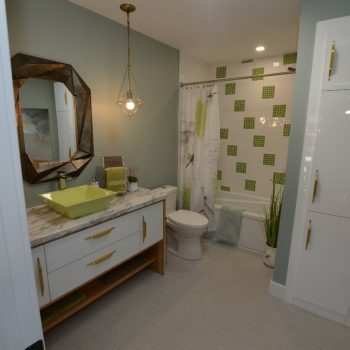 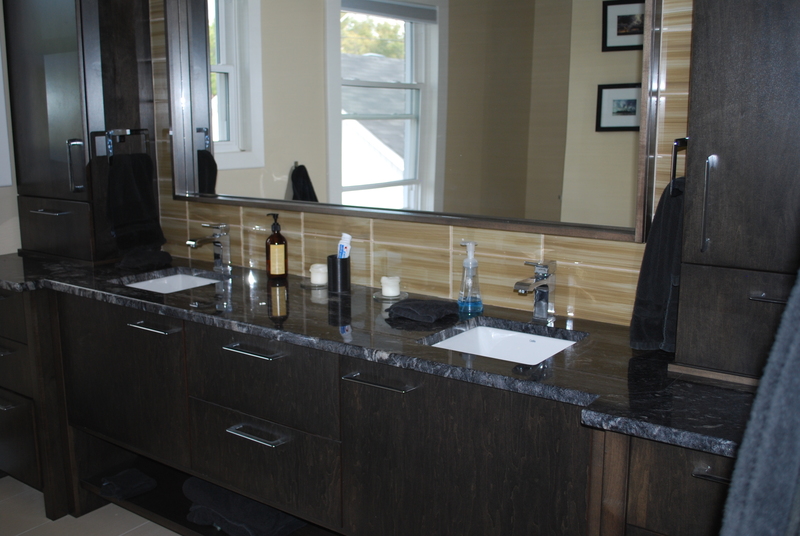 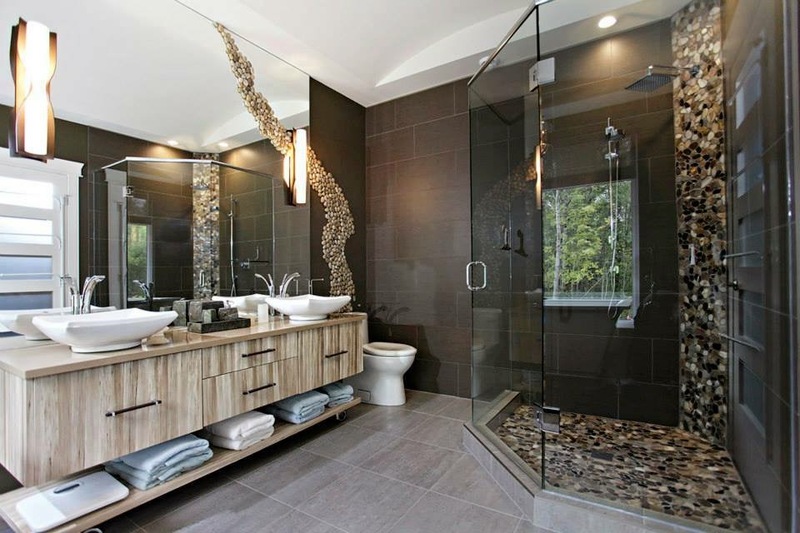 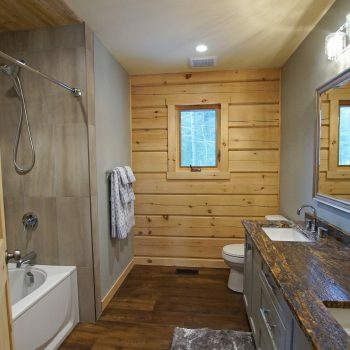 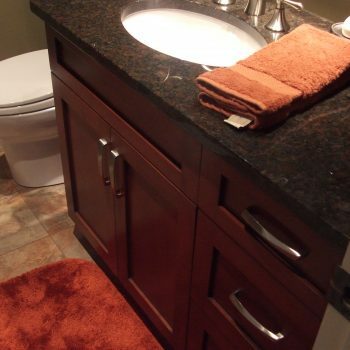 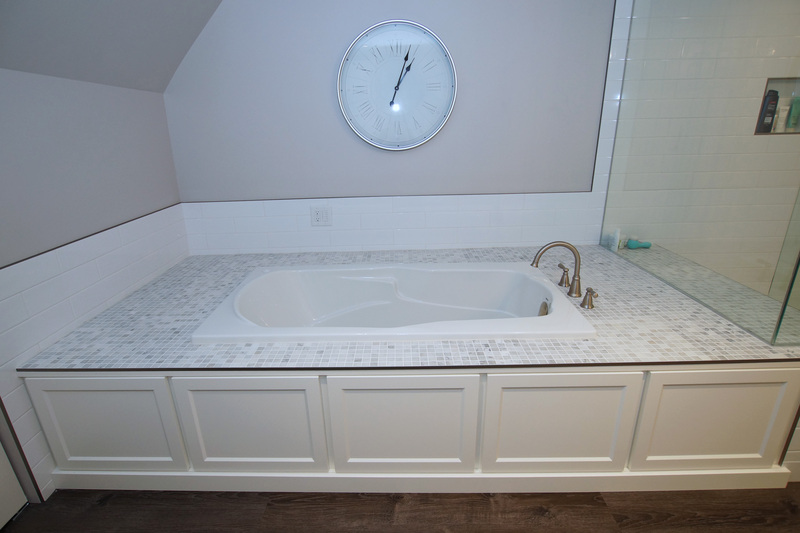 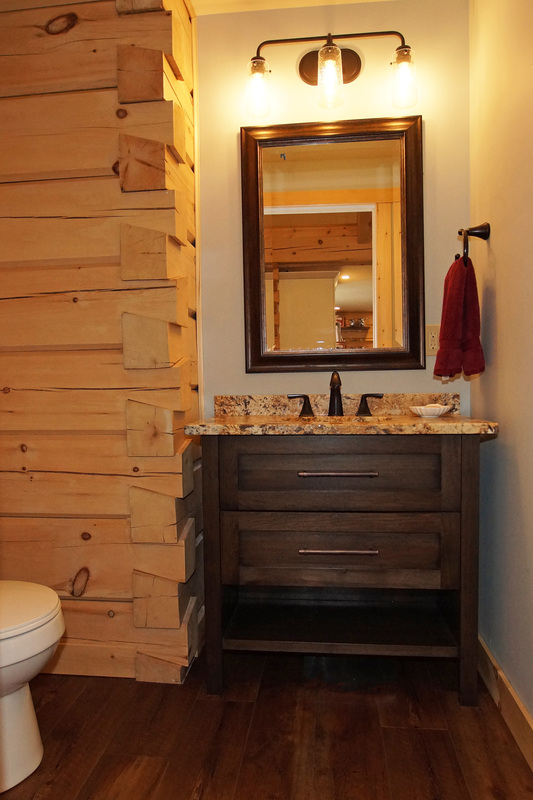 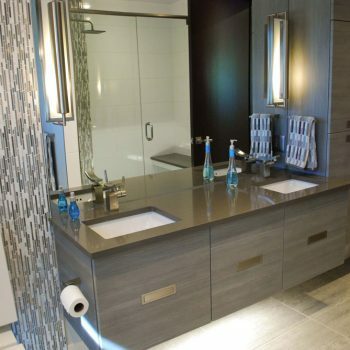 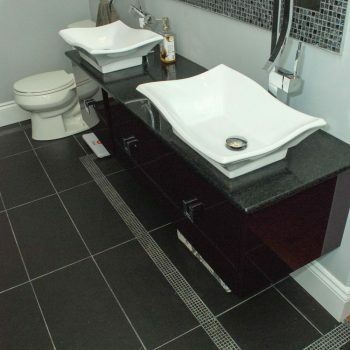 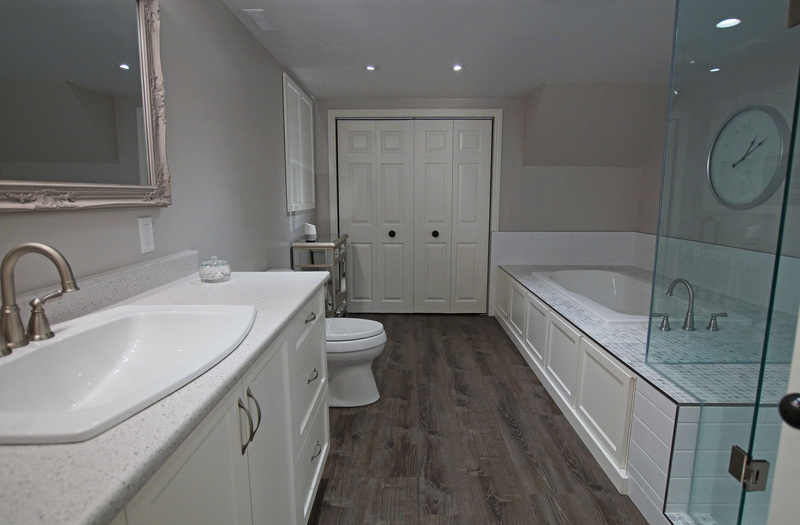 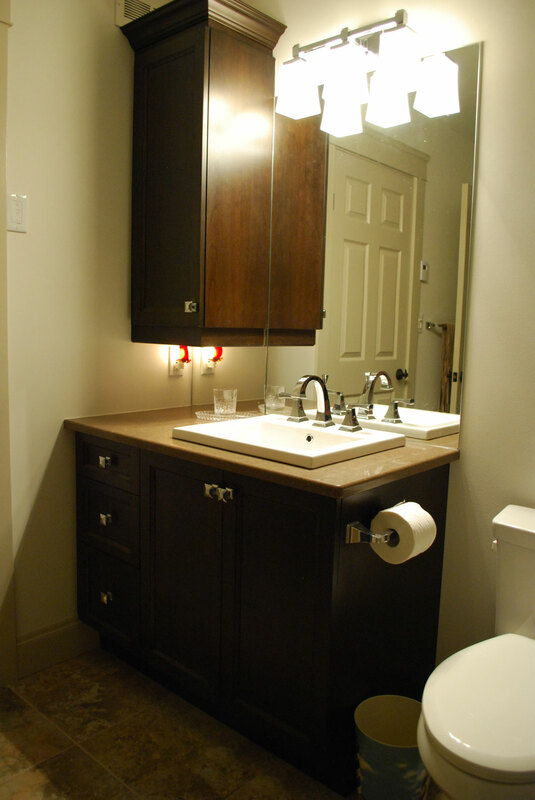 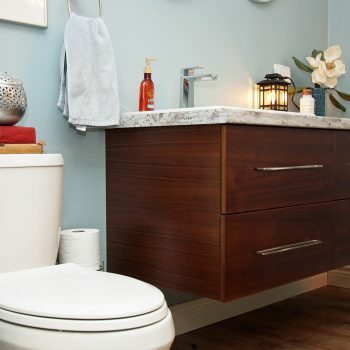 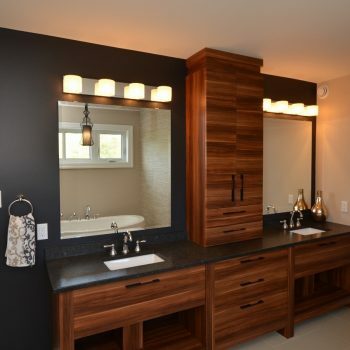 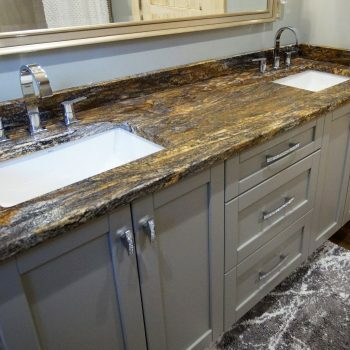 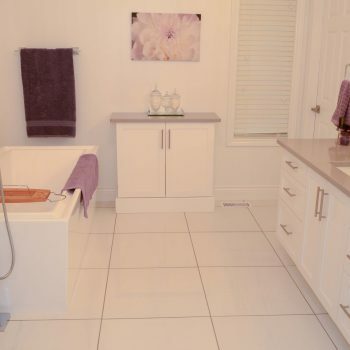 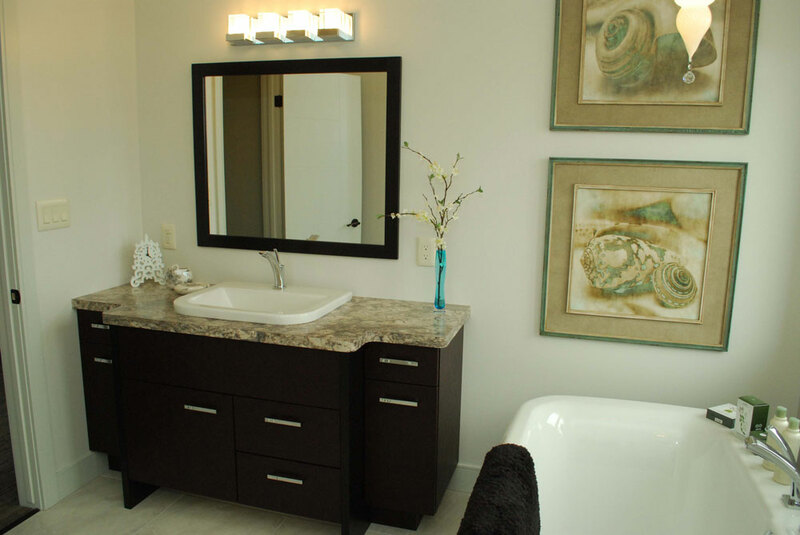 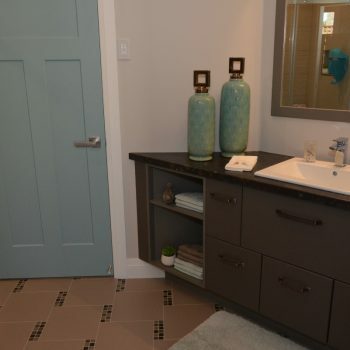 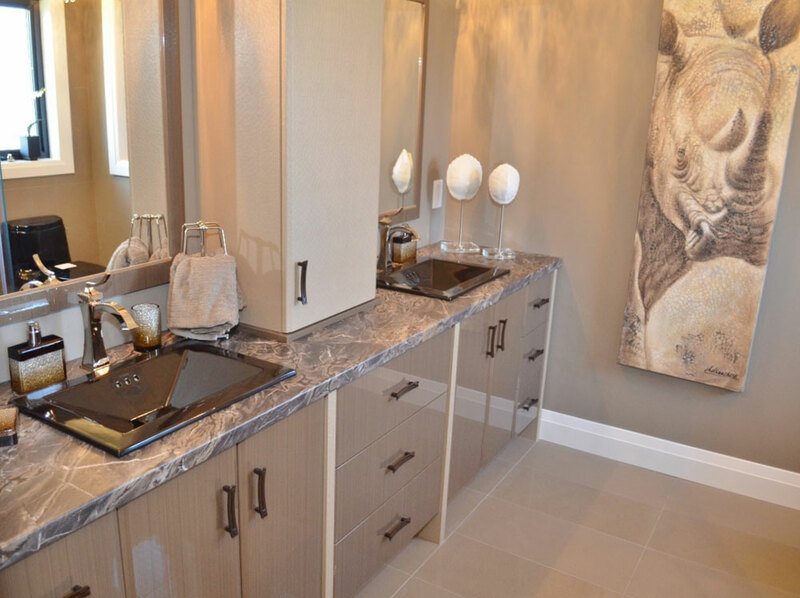 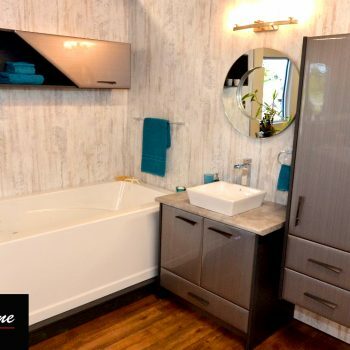 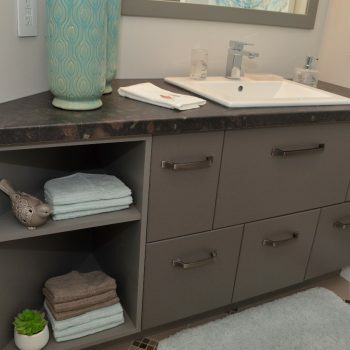 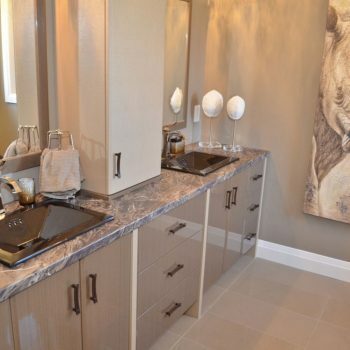 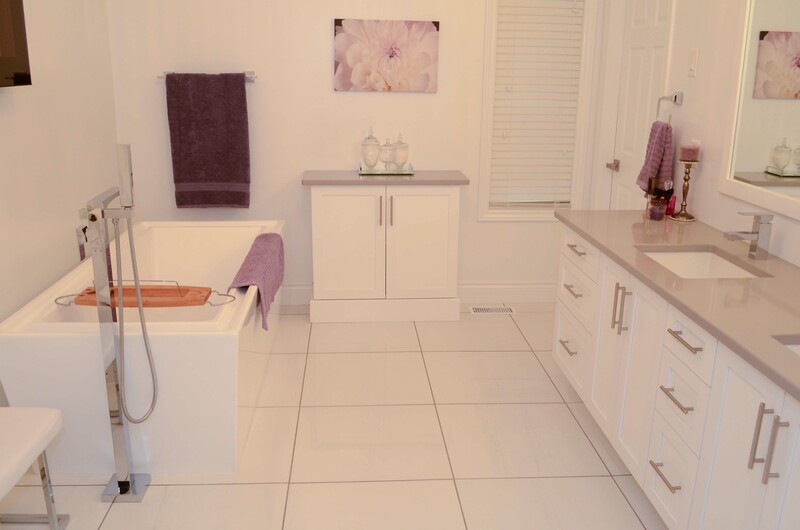 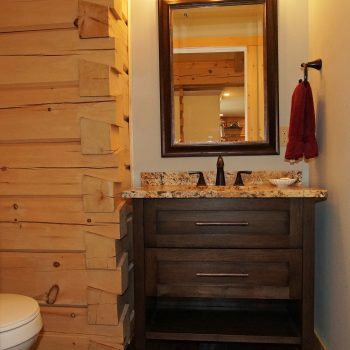 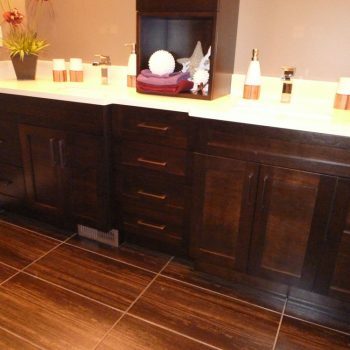 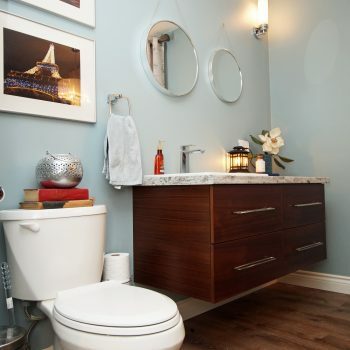 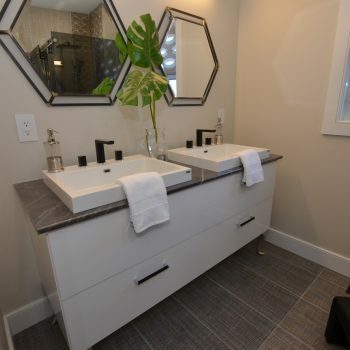 A great layout is essential to a functional bathroom. 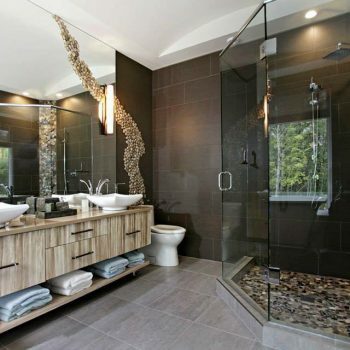 A space that not only looks good but works well. 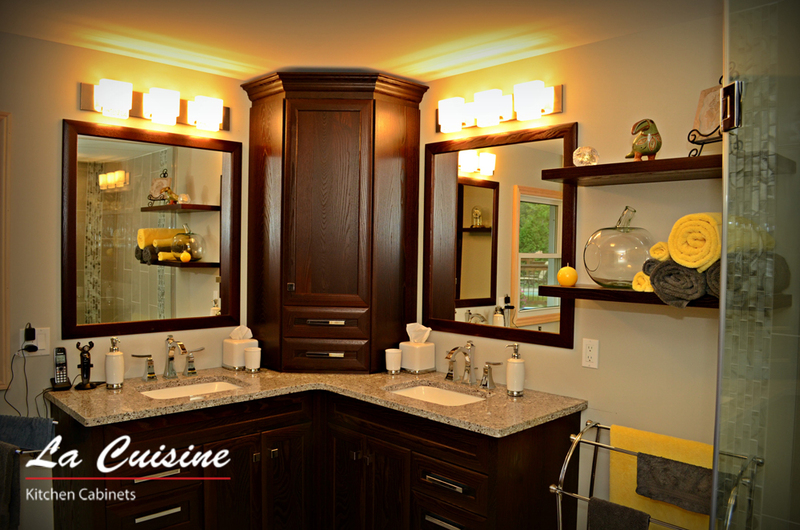 Let us help you create a space that jives with all your family members. 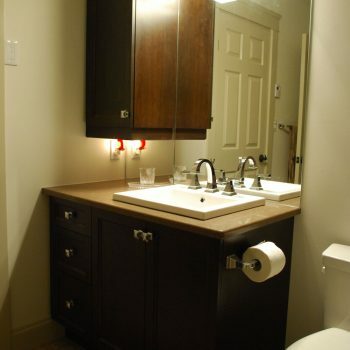 while making the most of your given space. 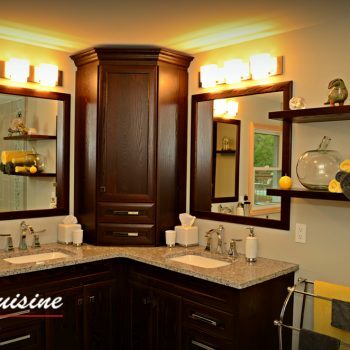 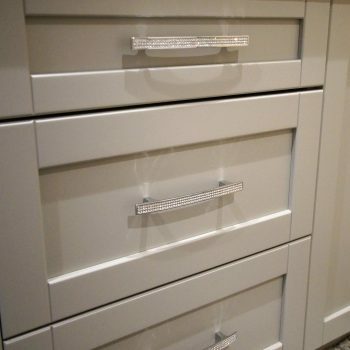 Our cabinets are made to last. 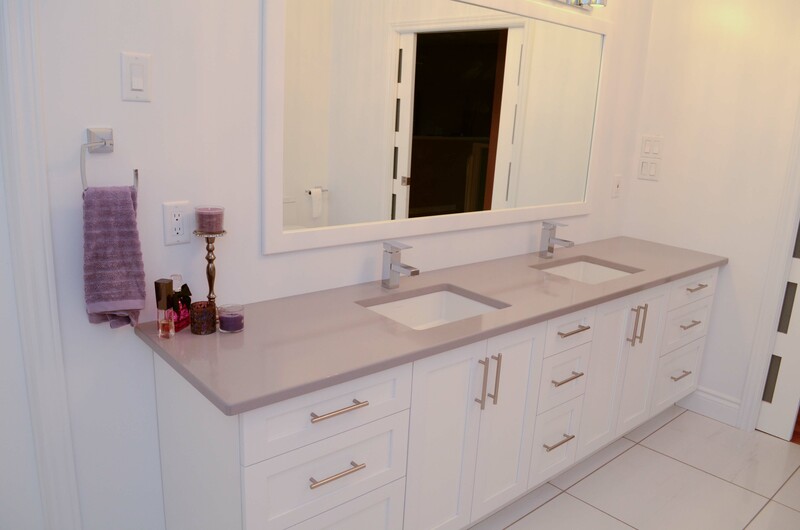 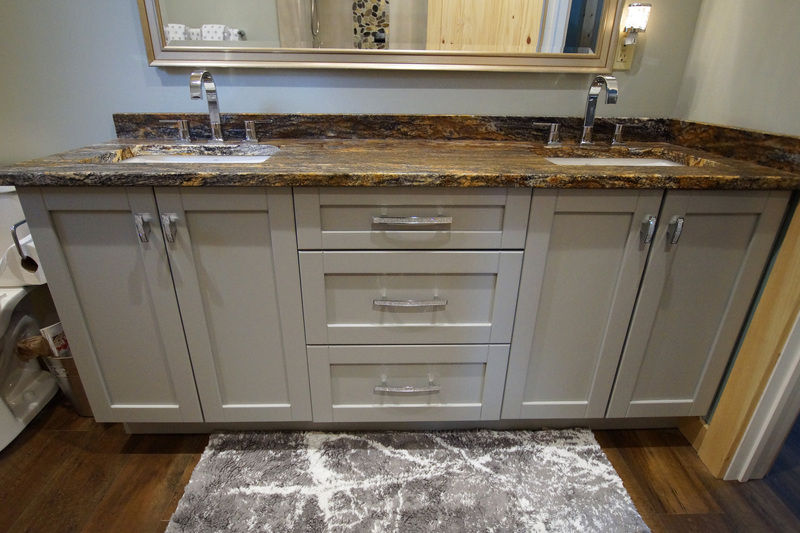 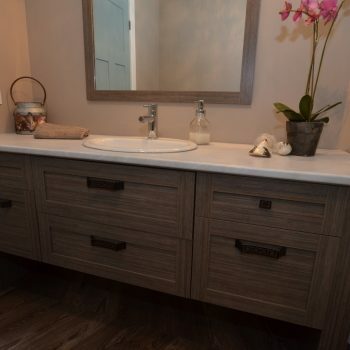 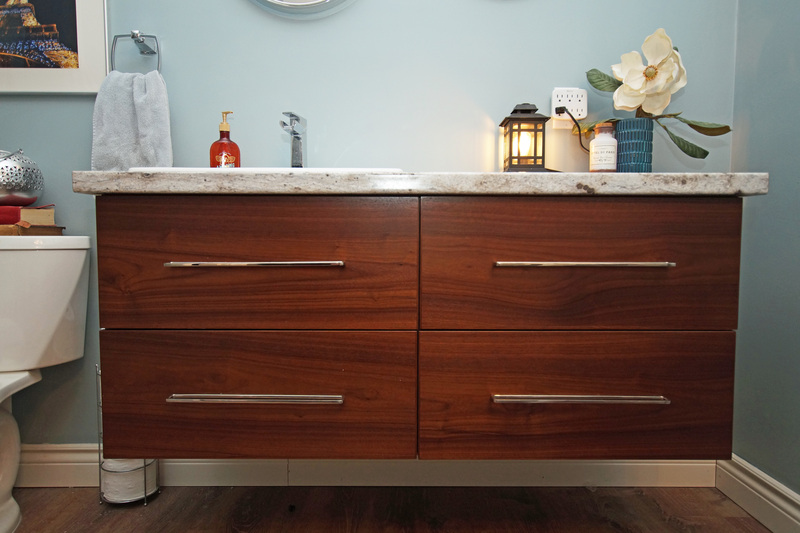 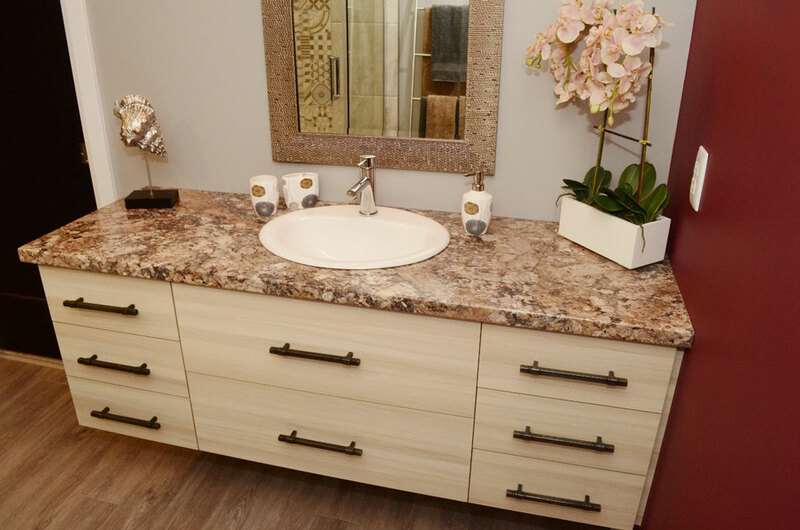 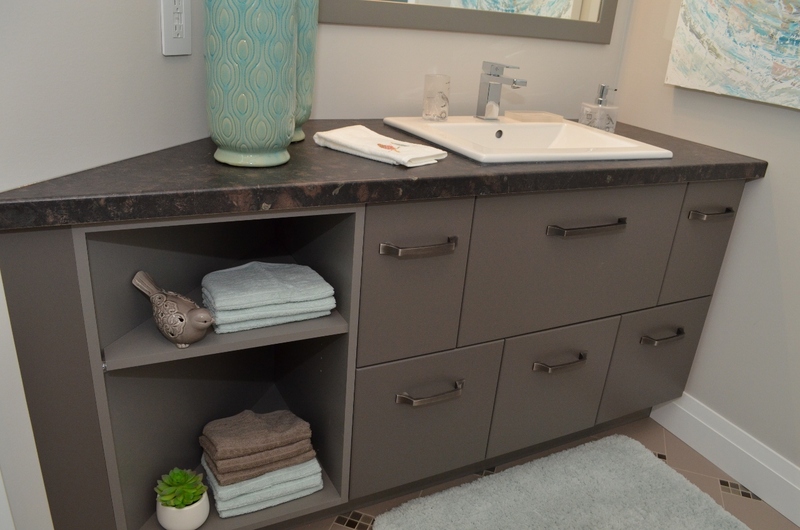 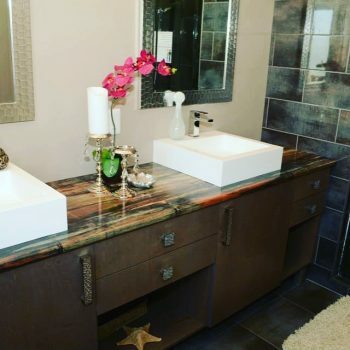 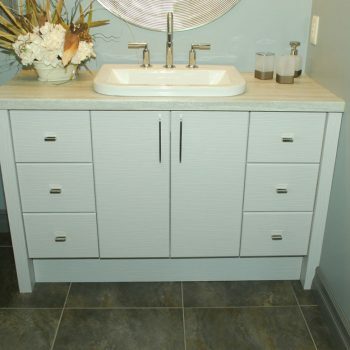 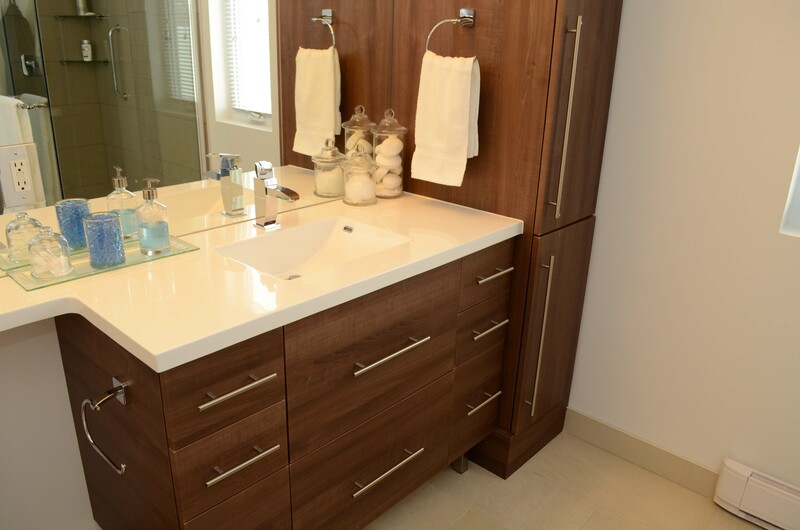 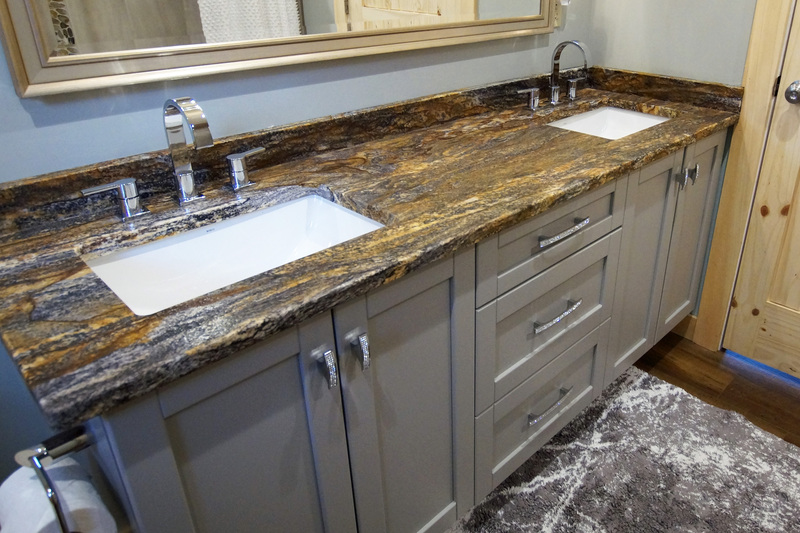 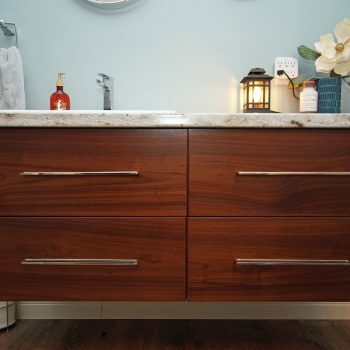 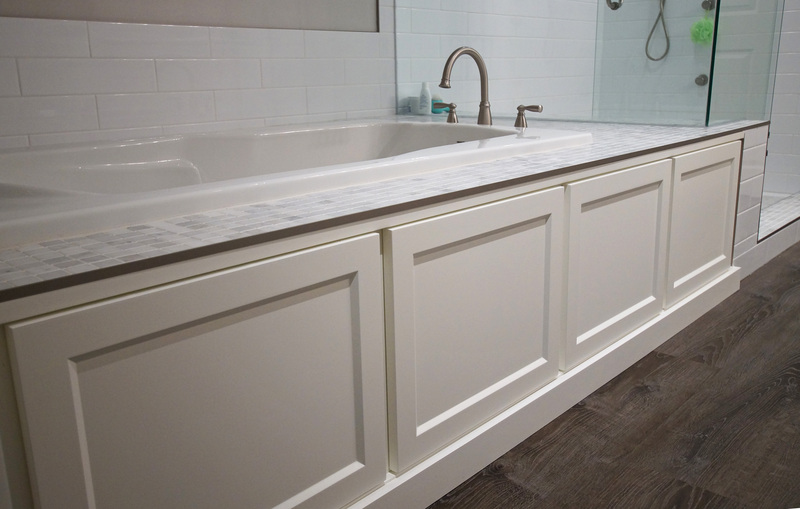 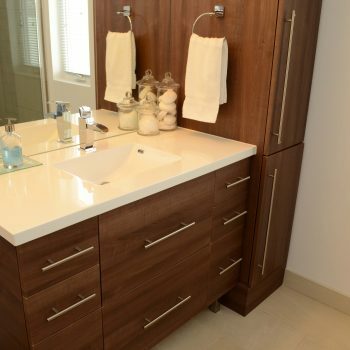 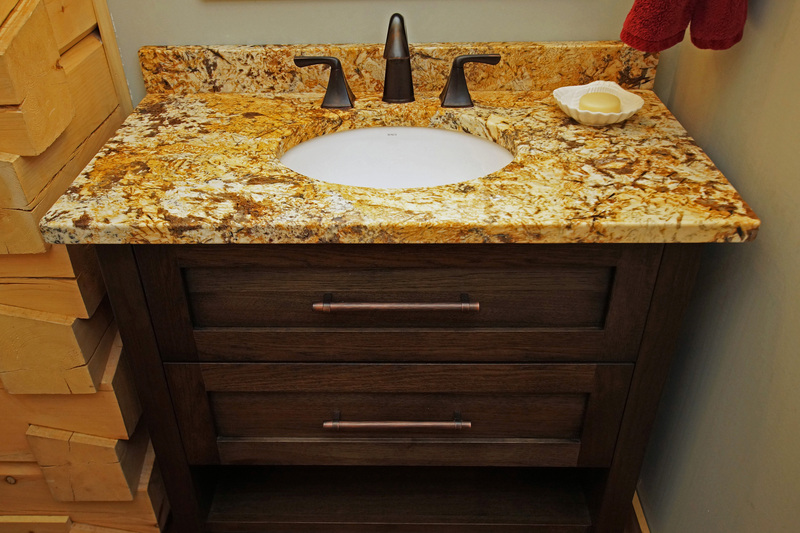 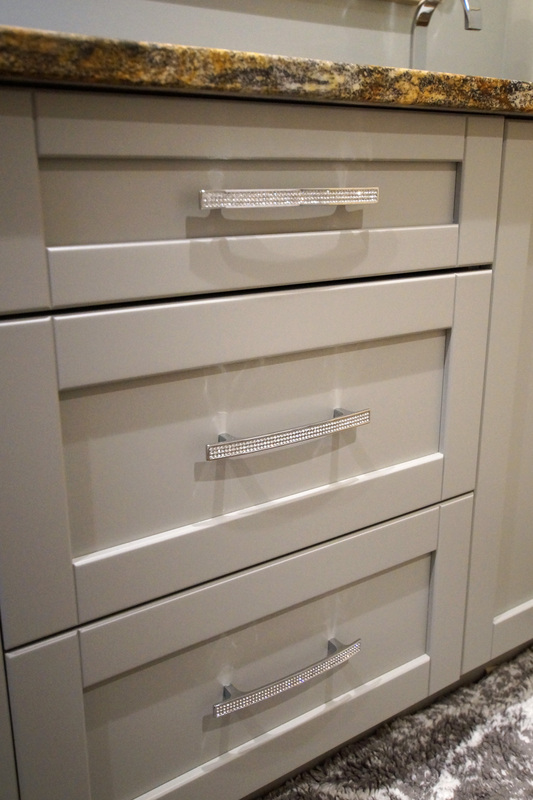 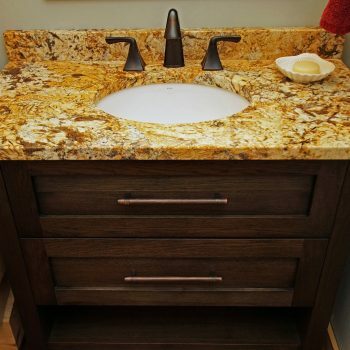 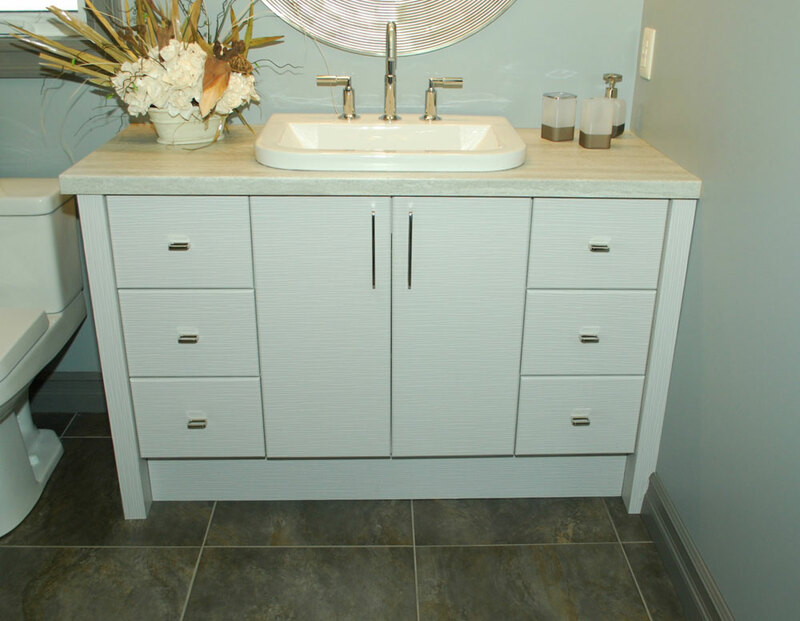 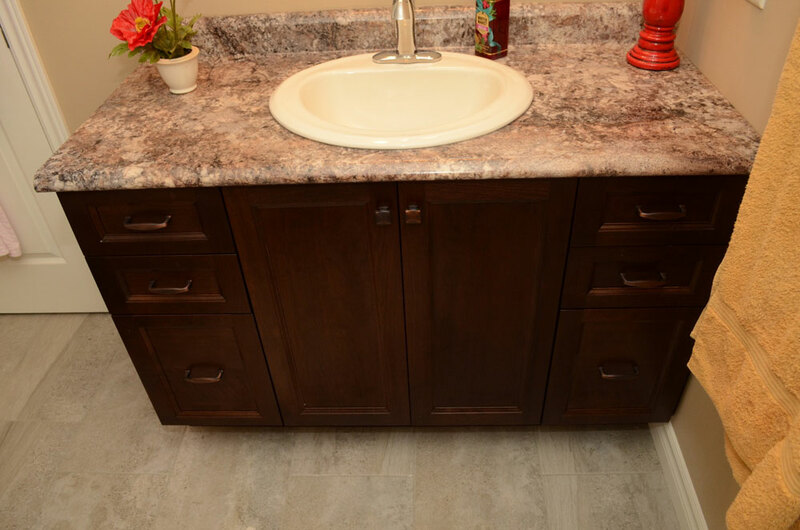 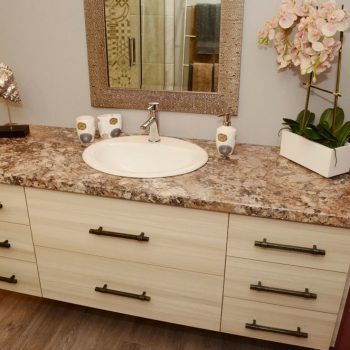 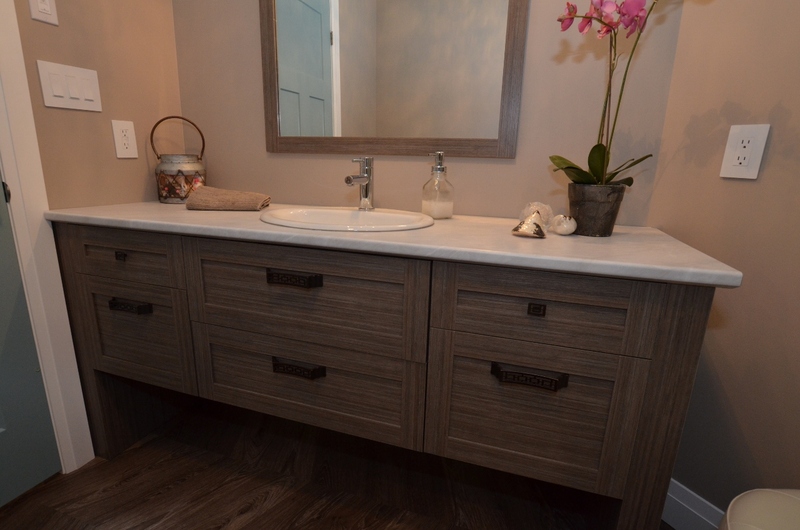 We use door grade TFL (Thermally Fused Laminate) to make our cabinet boxes, making your vanity core stronger and more durable. 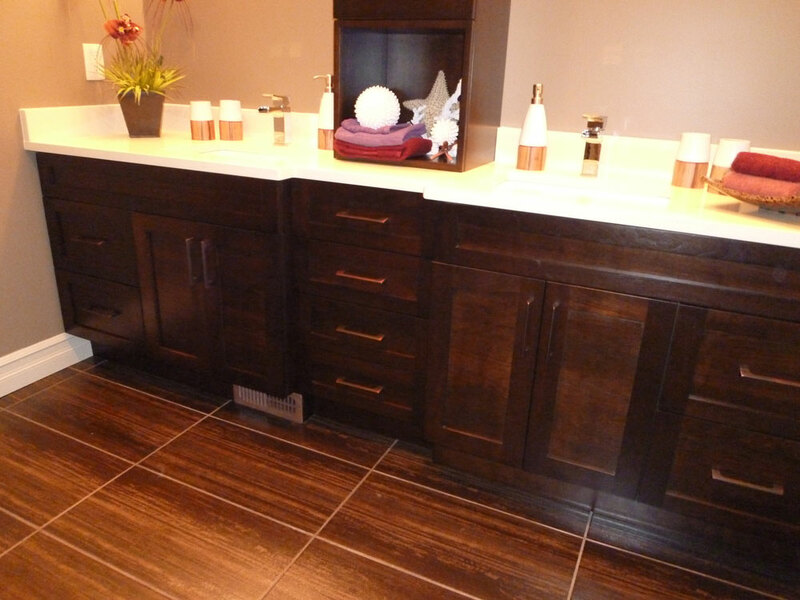 We use full 5/8 backing, and hard wood dowels to ensure accuracy and durability. 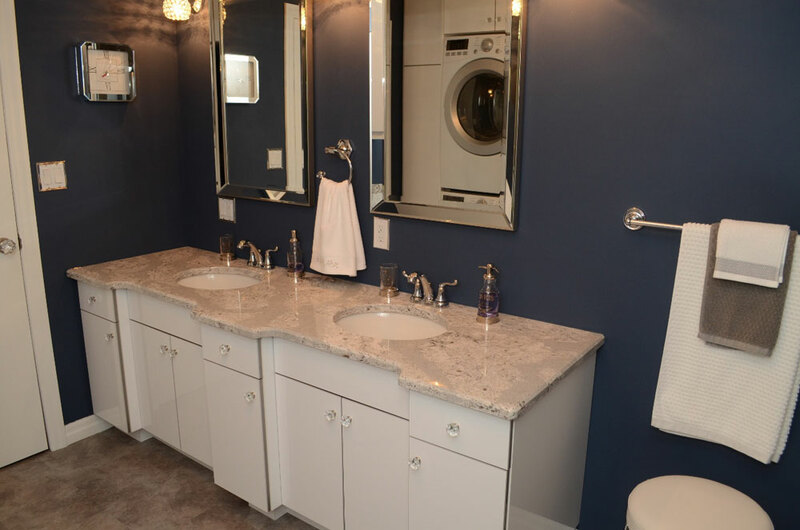 When you entrust us with your bathroom project, you are making the choice to support your local community and to truly invest in your home. 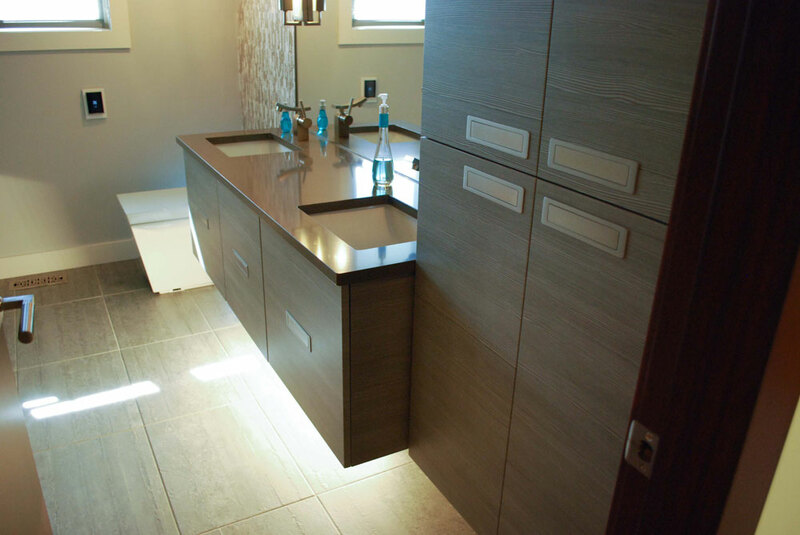 We are here every step of the way… design, budget, construction and installation. 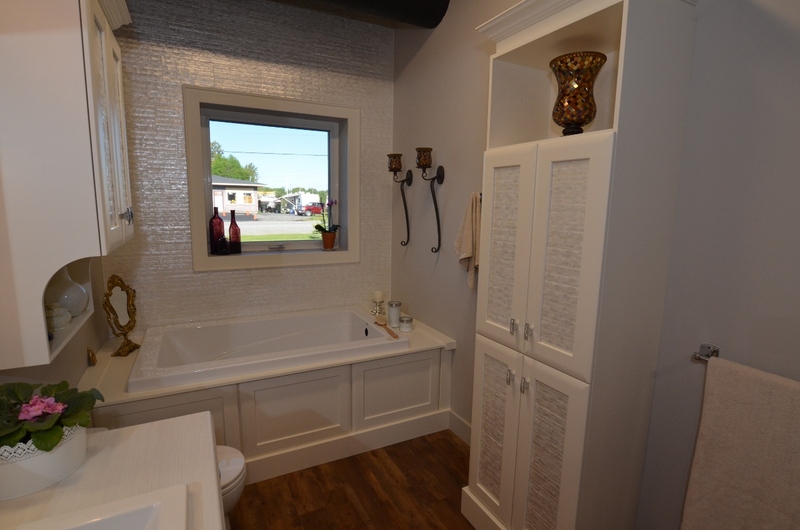 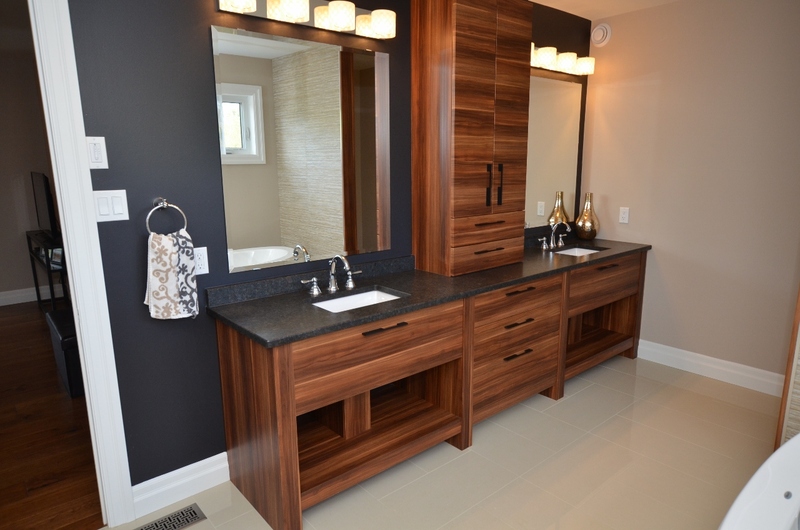 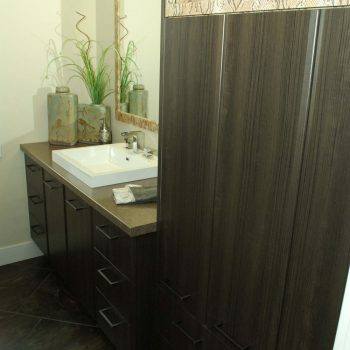 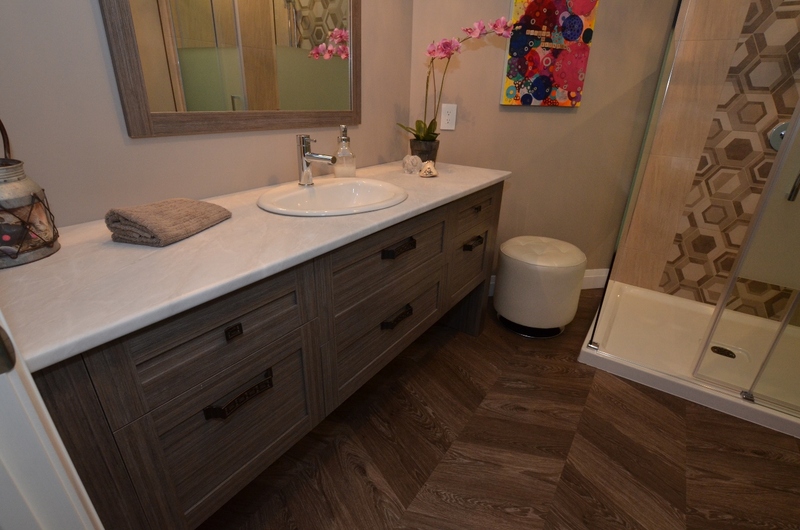 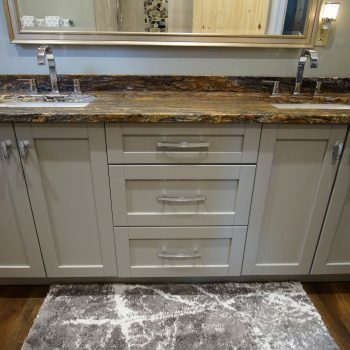 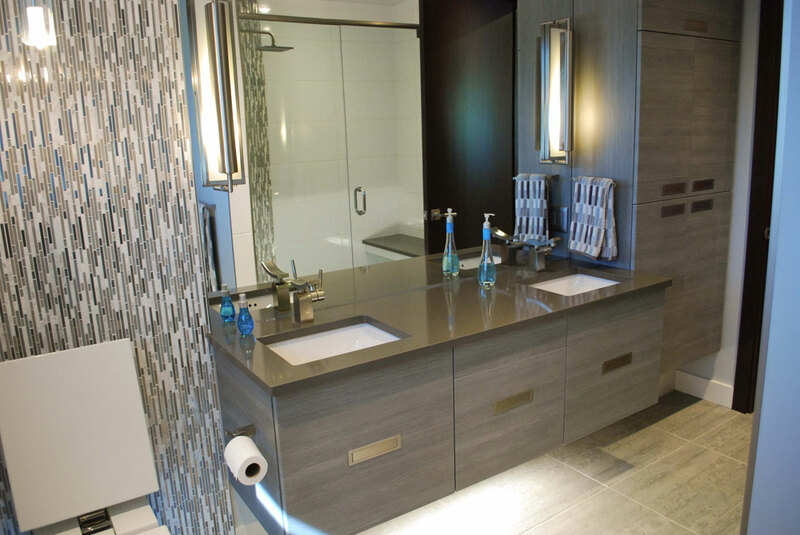 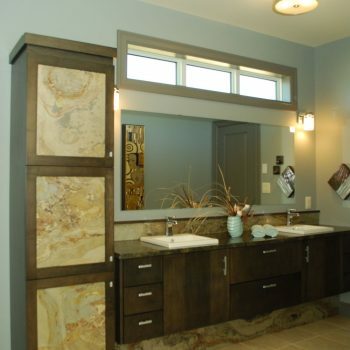 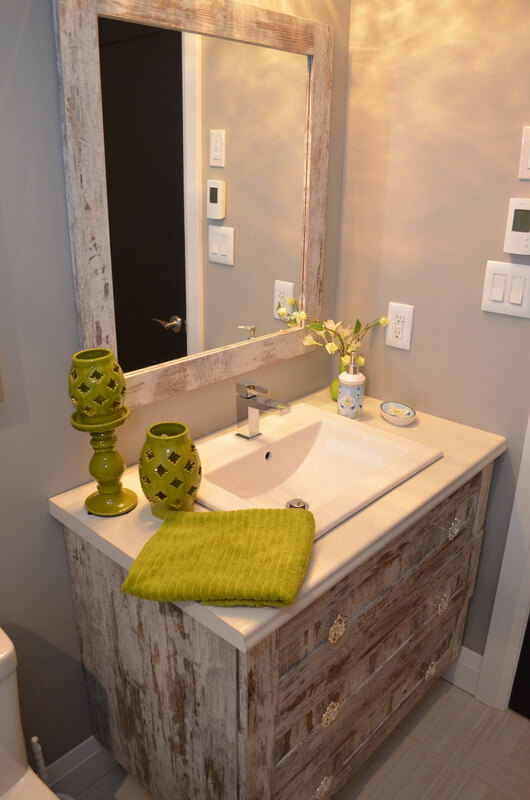 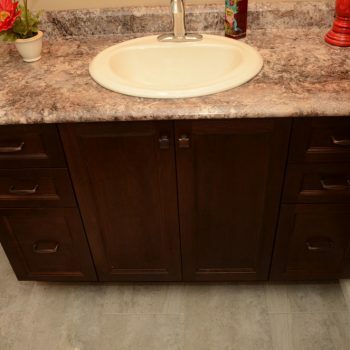 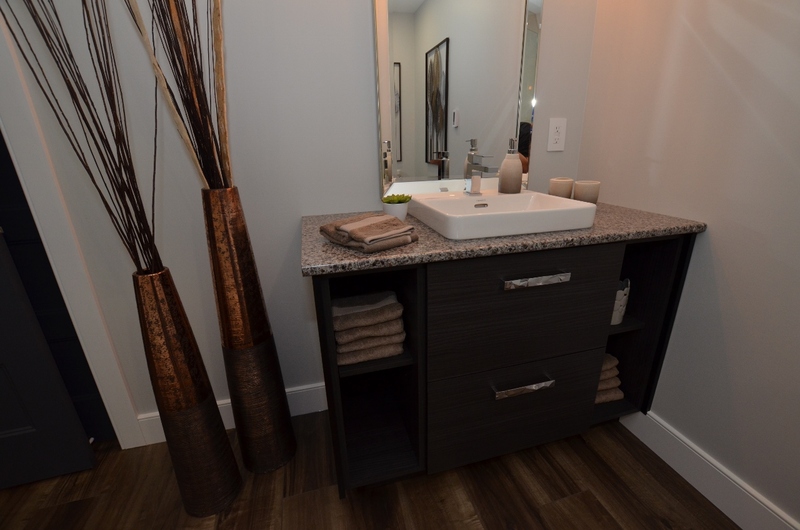 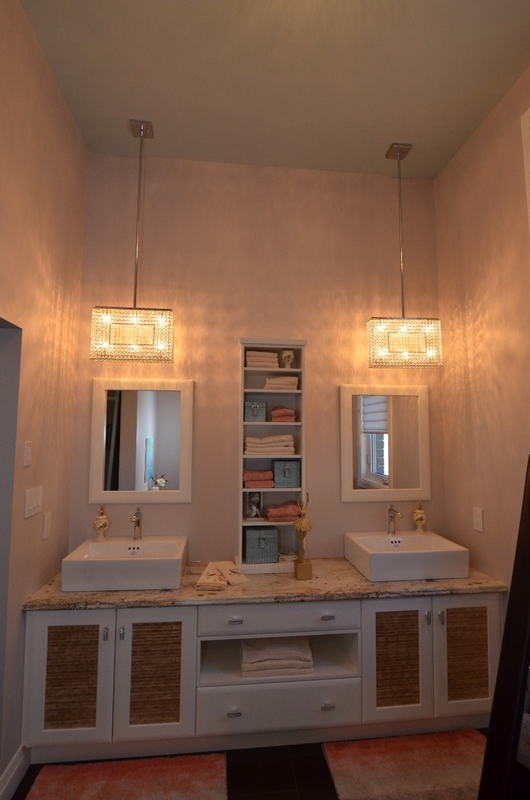 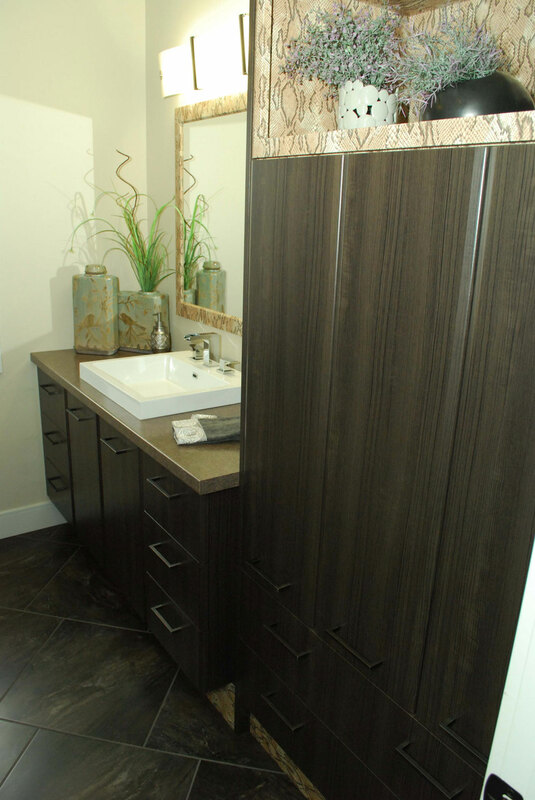 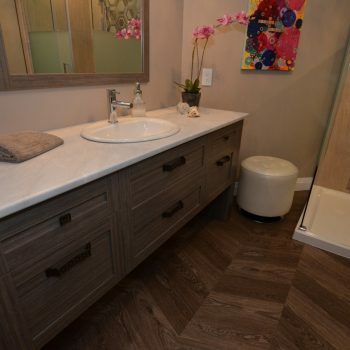 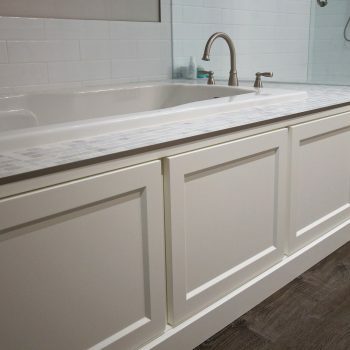 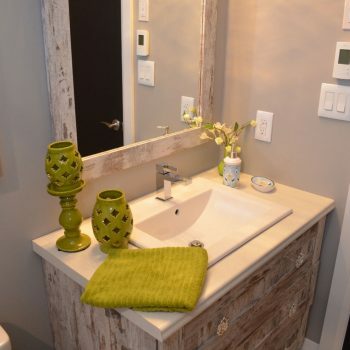 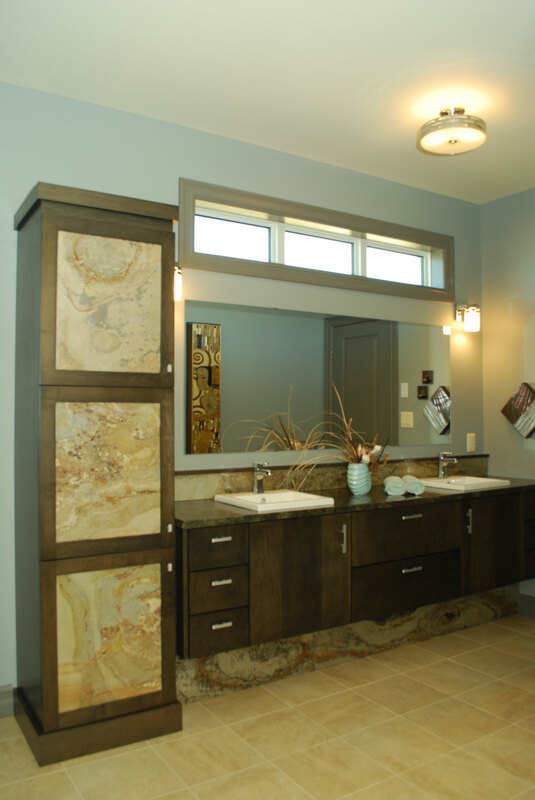 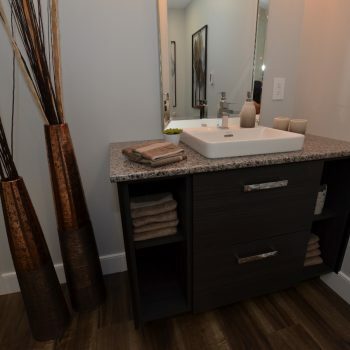 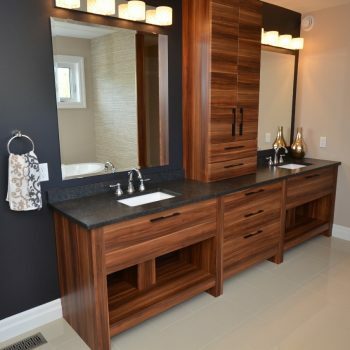 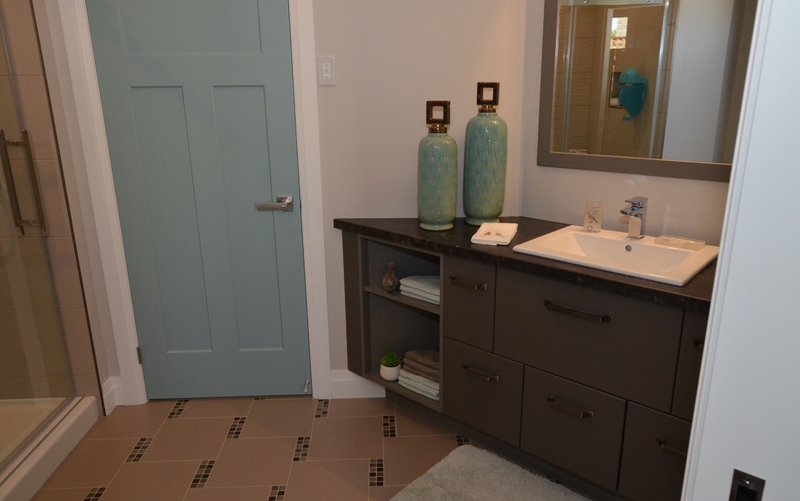 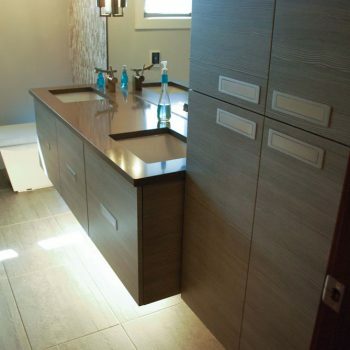 Let our expert Design Staff help you create a space that is durable, functional and stylish. 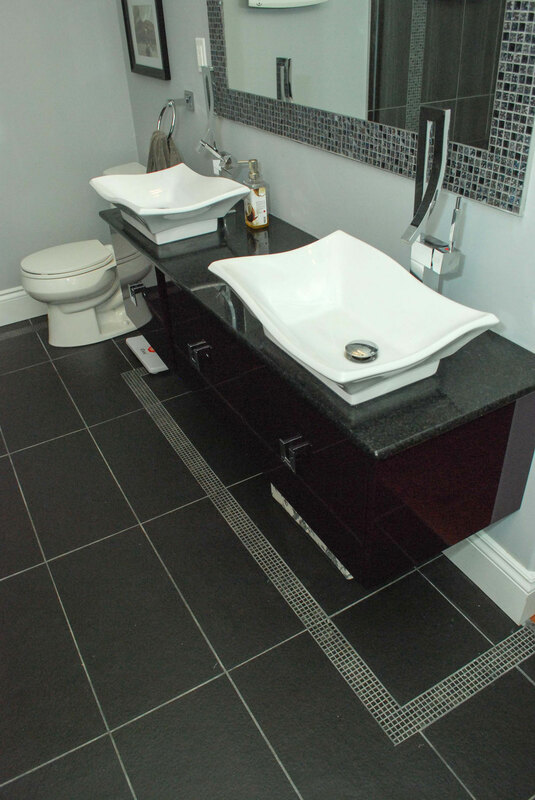 Free design and consultation… seek advice from our team for the product that best suits you!